Authors: Peter Besseau, Ralph Blaney, Jane Feehan, James Griffiths, Pablo Gutman, Jeff Herrick, Xiaoting Hou, Val Kapos, Pushpam Kumar, Mette Loyche-Wilkie, Will McFarland, Tim Mealy, Lera Miles, Akong Peter Minang, Samuel Murithi, Ulf Narloch, Mattia Romani, Seth Shames, Fulai Sheng, Ian Thompson, Adam Tomasek, Charlene Watson, Chris Webb, Grace Wong, and Dingfang Wu. The primary conclusion of this report is that many synergies between REDD+ and the ongoing transition to a Green Economy are currently underutilized. Realizing these synergies will accelerate the transition while maximizing the return on REDD+ investments. REDD+ can be an important support element for achieving a Green Economy. 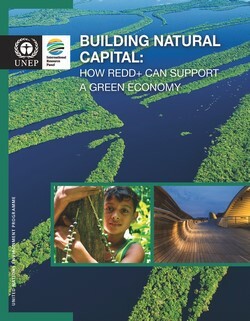 On the other hand, REDD+ is likely to be successful only if it is supported by an enabling environment that includes Green Economy elements such as good governance, law enforcement, land tenure reform, sustainable supporting financial mechanisms, equitable distribution of benefits, and valuations and recognition of natural capital.